It happens every year, schools across the country say goodbye to the seniors. 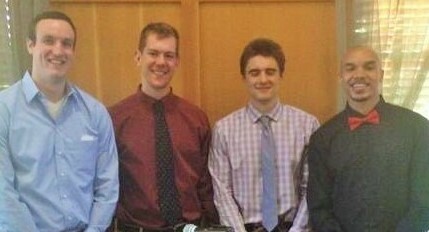 At the University of Portland they say farewell to four outstanding young men. Tanner Riley, John Bailey, Korey Thieleke and Ryan Nicholas. This years seniors have spent four years on the bluff and have represented the university in a very positive manner. Korey came into the program touted as a quick, fast and talented athlete and he didnt disappoint. Having earned his opportunity during his junior year he brought energy to the defensive end, often being counted on to match up with the opponents best scoring threat. He created chaos with his defense and as a result often gave us fans a show while turning turnovers into highlight dunks. The marketing campaign produced a commercial that has been seen countless times describing Korey as a young man who used his collegiate opportunity to step away from a city and homelife that most of us only read about. I think that is THE most important fact about Korey and in definition what a student athlete is all about, taking an opportunity to make yourself a better person. Korey for all you have brought to the University of Portland I thank you. 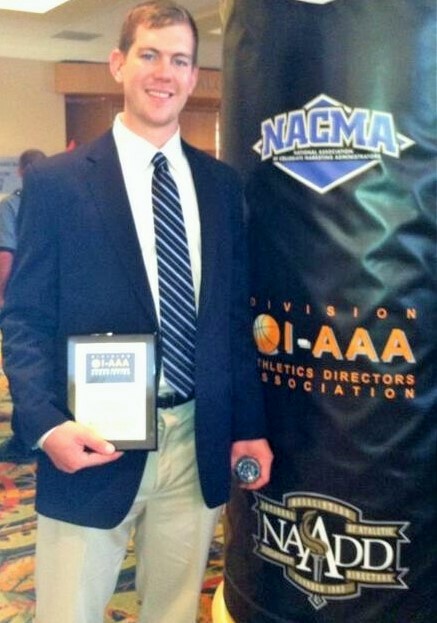 John Bailey is a four year contributor to the basketball program. John didnt see his playing minutes materialize as he probably would have liked but the things he brought to the school goes beyond the stat sheet. Where others playing the power forward have moved on to realize their goals, John has stuck with UP and as such has realized his dream of earning a college degree. He pushed those ahead of him at every practice with his energy, passion and work ethic. Those traits will serve him well next year as he utilizes his remaining year of eligibility at another school. For showing up every day with a commitment to the team and school John I thank you. Tanner was mentioned in the same breath of players like Jared Stohl, Nem and other great shooters that have come into UP. His freshman year he earned that moniker with an All Tournament team selection in the first handful of games. A nagging ankle injury slowed his growth as a contributor to the team until the reality of life set in and others were asked to step in. Did Tanner mope and make excuses? Not in the least bit, in fact his attitude and teamwork was heralded by Coach as recently as late this season. Tanner will take with him a college degree and the friendships of those who grinded those four years along side him. For sticking with things over the last four years, making your teammates better in practice and taking care of your business in the classroom I thank you. Ryan has certainly left his mark on the University of Portland. There arent many career catagories that he isnt ranked in. #12 all time in scoring, #5 all time in rebounding, #5 all time in double doubles are just a few of his accolades. Ryan has brought much more to the program than his statistics. He has been captain of the team the last two years, this year being the only representative which speaks directly to how Coach views his leadership abilities. What could be argued as the most important "statistic" with a student athlete is his three consecutive selections as a member of the WCC All Academic team. Ryans commitment to his craft is evident by his moniker, "Rhino". A fitting name for a player who left it all on the court every day. For your consistency, your representation as a true student athlete and your never ending motor on the court I thank you. Next year will bring another group of seniors and it is the hope of every fan that they too can follow in the footsteps of these four young men. With the next step in their lives I have nothing but confidence that John, Korey, Tanner and Ryan will continue to impress those around them as they have us during their tenure on the bluff. Very nice salute, oldtimer....well said!! oldtimer wrote: Korey came into the program touted as a quick, fast and talented athlete and he didnt disappoint. Having earned his opportunity during his junior year he brought energy to the defensive end, often being counted on to match up with the opponents best scoring threat. He created chaos with his defense and as a result often gave us fans a show while turning turnovers into highlight dunks. First time I've ever felt compelled to make a profile picture, and it's to immortalize Korey's breakaway dunk in the win over Gonzaga. Sure gonna miss watching this guy next year. Brought so much energy and passion onto the floor every single time he checked in. Huge range of emotions today at the basketball awards. The seniors all gave heartfelt speeches on what they got out of their time here and what being on the team has meant to them. One of my favorite things said today was from Tanner, who fought hard to get the words out: "I could never find teammates like this anywhere else." Thanks for the report! There were some reports on twitter from @PilotHoops, but I wanted to hear from some PNers. Can't disagree with many of those honors. As PPT mentioned......it was an emotional afternoon for many in attendance, especially for the "Big Man" himself, Coach Rev. Loved Korey's heartfelt words that were a mix of humor and genuine thanks to everyone at UP, with special thanks to Coach Wolf, for pulling him out of Bakersfield and for literally saving his life. The big news from Korey: He'll graduate on time in a couple of weeks and will stay at UP for another year of classes and he'll run track for UP! ....oh, and JB would like to play one more year after graduation. He seems to be favoring a couple of schools in California.....closer to his Arizona home. DoubleDipper wrote: The big news from Korey: He'll graduate on time in a couple of weeks and will stay at UP for another year of classes and he'll run track for UP! This is awesome. Good for Korey. Will he run the 5K or the 10K? Isn't that what everyone at UP runs? DoubleDipper wrote: As PPT mentioned......it was an emotional afternoon for many in attendance, especially for the "Big Man" himself, Coach Rev. "Where I'm from...no, just playing." PurplePrideTrumpet wrote: "Where I'm from...no, just playing." Hahahaha...and the best part was the accompanying smile just above that great looking bow-tie! Has anyone seen the season highlight video posted online? I'm certainly thankful for that! With his success on the court this past season, Thomas could have easily taken advantage of the graduate transfer rule and sought out a spot at a higher profile school. I'm sure there would have been some major conference coaches eager to give him a look. Let's hear it for loyalty! With a roster that includes all transfers (except for the point guard) and 9 seniors, the University of Texas of Permian Basin is 3-1, and is averaging over 100 points a game.....sounds like fun to me!! 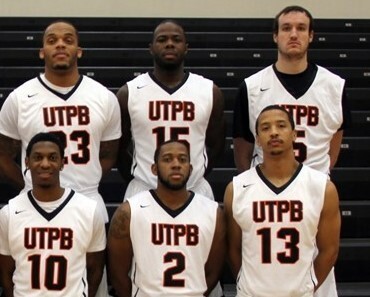 Yes, that man on the upper right, #5, is UP graduate John Bailey....a starter on the UTPB team. 2004 Fiba Eurocup winner MItteldeutscher BC will keep Ryan Nicholas (201-F-91, college: Portland) until the end of the season. Nicholas is a 23 year old 201cm forward from Spokane, Washington that is a Beko BBL rookie. He had got a short term contract until the end of November and he convinced management for the continuation of his contract until the end of the season. This season in 8 games he is averaging 3,8ppg and 2,8rpg. His best game was scoring 11 points in 16 minutes agaisnt Phoenix Hagen. "He has improved this season and still has potential. He and Christian Standahrdinger build a good combination. He also fits best into the team with his character and he plays an important role so there was no reason why not to hold him", stressed MBC head coach Silvano Poropat. As for JB, awesome for him! He is such a great young man and its nice to see him use his eligibility this year. I am going to have to root for UTPB now. As some of you may know, the Beacon just won the award for being the Best College Newspaper in America for a school with a student body less than 5,000. This wonderful article about fan favorite Korey Thieleke is a sample of their wonderful journalism (there's video too). DoubleDipper wrote: As some of you may know, the Beacon just won the award for being the Best College Newspaper in America for a school with a student body less than 5,000. You might recognize the UP seniors in this picture....including both Baileys, John and Kevin. Fun to see Voldy and Thomas wearing USA jerseys along with Bobby and UP manager Gat Bol and former UP DBO, Marshal Cho. 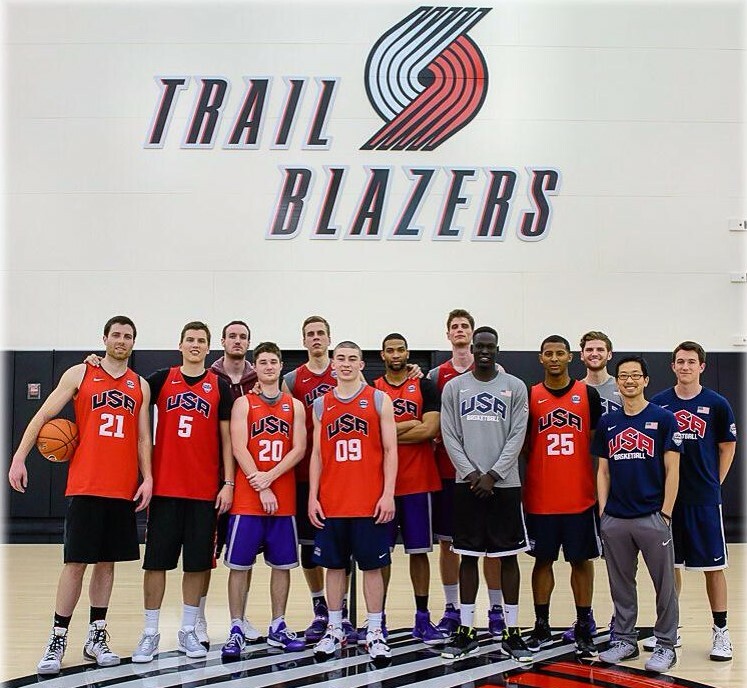 I believe this team was assembled to practice against the USA team that played in the Nike Hoop Summit at the Moda Center last weekend.